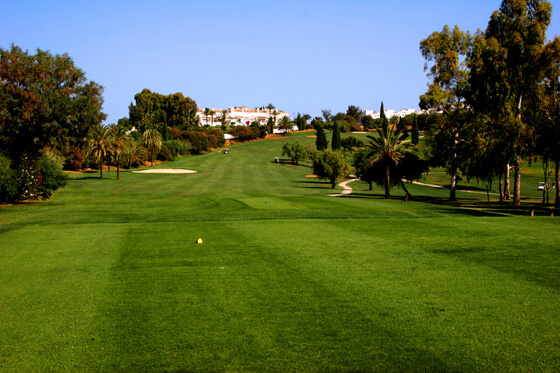 First designed by the great Gary Player way back in 1973, El Paraiso Golf is one of the most established golf courses you will find here on the Costa del Sol, Spain. 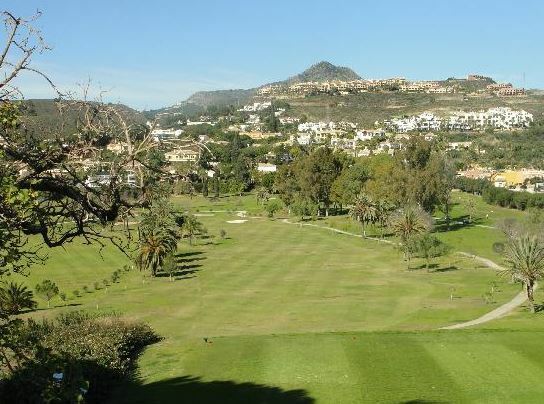 The course is located in an enviable position on the Costa del Sol with wonderful views to the imposing La Concha mountain to the north of the course and the Mediterranean to the south. 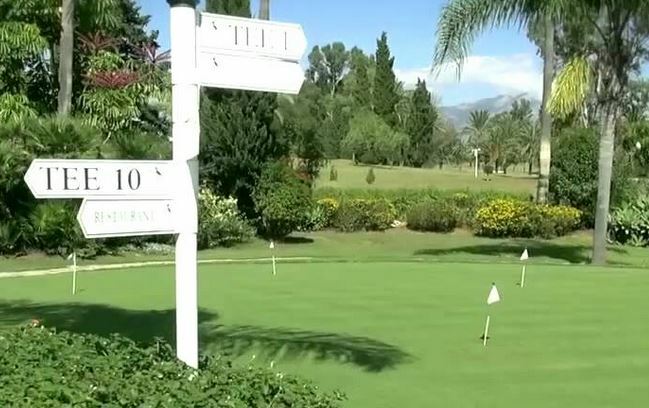 El Paraiso provides the perfect golfing challenge for golfers of all abilities and is a course that you will want to come back to time and again. The course offers a championship layout and features meandering streams, palm tree lined fairways, lakes and tropical flora and fauna. One of the best and most challenging holes on the course is the par 5 sixth, which will produce birdie opportunities if you manage to avoid the water. 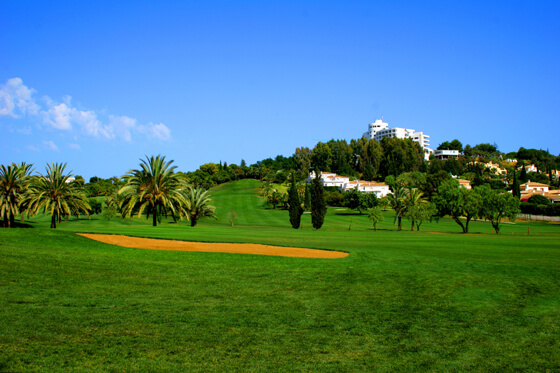 The ninth and eighteenth holes are also very testing and you will do well to make par. The El Paraiso course has a number of different tee positions ranging from 6,131 meters for the championship tees, 5,912 meters from the yellow tees and 4,998 meters if playing from the ladies tees. 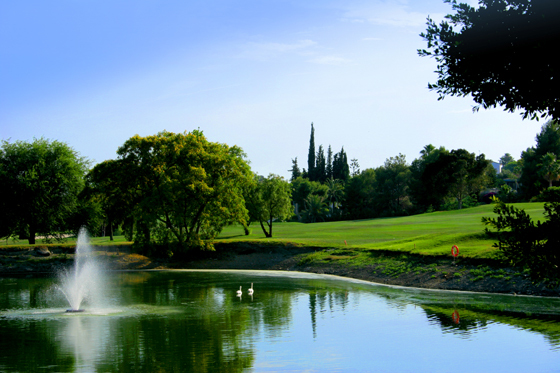 The first hole is relatively straight forward, but you will need to make sure you clear the stream to hit the fairway. The green is protected by two bunkers with one of them especially deep. The second hole on the course is a par 4 and is will require a good drive so that you can reach the green in two. The hole has an undulated green, which slopes heavily from front to back. The third is a lovely par 4. 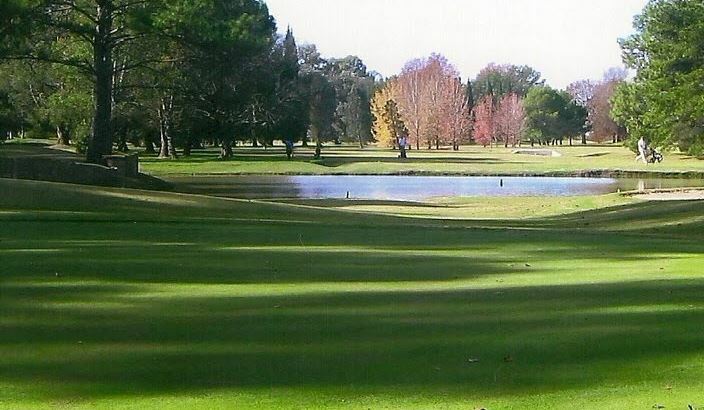 Make sure that you aim for the solitary cypress tree on the right of the fairway, which should leave you with a good line into the green and also means that you will avoid the hidden bunker down the left. A tricky par 4, which features a fairway bunker down the right which awaits any longer drives. Make sure you drive down the left. The green is nice and large, but well guarded by two bunkers at the front. The fifth is a par 3 with a large green, although it is well protected by two bunkers. If the pin is at the back of the green make sure you aim for the left side of the green as to avoid the slope on the right. Considered to be the signature hole at the El Paraiso course, the par 5 sixth offers everything you could wish to find in a golf hole including water and bunkers. Try to play the hole down the left to avoid trouble. The green is very large and has two tiers and is well guarded by two bunkers. The green also slopes way to the right. The 7th hole is a par 3 with a sloping green which slopes from back left to front right. The left side would seem the safer side due to the stream on the right, if you miss left you will be faced with a very tricky fast chip. Try to drive down the left of the fairway which slopes a little from left to right. This will mean that your approach shot need to be hit with the ball below your feet. There is a large green, which is protected by bunkers to the front. A really challenging long par 4. Only long hitters can reach the fairway bunker and a good line is just left of the bunker, but beware overdoing it as the stream is waiting all down the left. The stream then cuts across the fairway about 60 metres in front of the green, so a decision whether to go for the green in two or to lay up must be taken. The green slopes from back to front with water also waiting on the right. Be happy taking 5. Make sure you aim your drive down the left at this hole to avoid the fairway bunker. Although the green is quite wide, it isn’t very deep and is well protected by bunkers to the front. This means that club selection is going to be very important. The 11th hole offers the nicest views on the course, with the La Concha mountain the main focal point. Make sure you play the hole down the left. The two tier green is deep and well protected by bunkers. Hole 12 features a generous fairway, which opens up on the left hand side. You will need to be careful though, as there are two bunkers waiting to catch the drives of any longer hitters. You will need to hit a long drive if you are planning on hitting the green with your second shot. The 13th is another super hole, which has a stroke index of 1 and a long par 4. Try to stick to the right hand side of the fairway and don’t be fooled by the green, which looks flat, but actually slopes from left to right. Beautiful little par 3, be careful of the big bunker to the front, and any ball that carries to the right of the green will run down the hill. Generous and inviting green, best chance for a two. The 15th hole is a long par 5. There are a number of fairway bunkers, but only really long hitters will need to worry about reaching these. The green has three tiers, guarded by bunkers to the left and right. Club selection will be really important as the the hole is uphill, so consider taking an extra club. The 16th is another par 5 although down hill, which means that it plays short and will provide a birdie opportunity for longer hitters. Down the left of this hole is out of bounds so avoid this at all costs. The green is large with a left to right slope and has a small bunker to the rear. This is a longer par 3, which is very well protected with bunkers. If you are too long, there is a stream at the back of the green just waiting to welcome your ball. Fantastic finishing hole and it’s worth looking out for the rare black swans on the lake. Unless a very long hitter aim for the right side fairway bunker; long hitters can fly this bunker and gain extra distance. The second shot to the green sets up a great finish and requires precision as the two tier green, which slopes from right to left, is well guarded by three bunkers. Make a par and head for a well earned drink at the 19th hole. 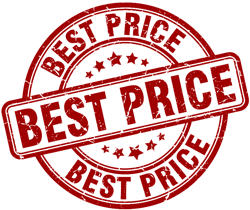 Course Facilities: Driving range, putting green, golf shop, restaurant, club house, parking.